When you bring a dog into your home, they become part of the family. They don’t always understand your commands, and they can be disobedient. However, once you adopt an animal, you agree to take care of your pet and share your life with them. Unfortunately, some people abandon their dogs. According to the Humane Society of United States, six to eight million cats and dogs end up in shelters each year in the country, and only one half of them are adopted by new owners. Created by Hungarian studio DeadLens Pictures, Gift is a short movie that explores the feelings of unwanted and abandoned dogs in order to raise awareness and prevent irresponsible dog adoptions. 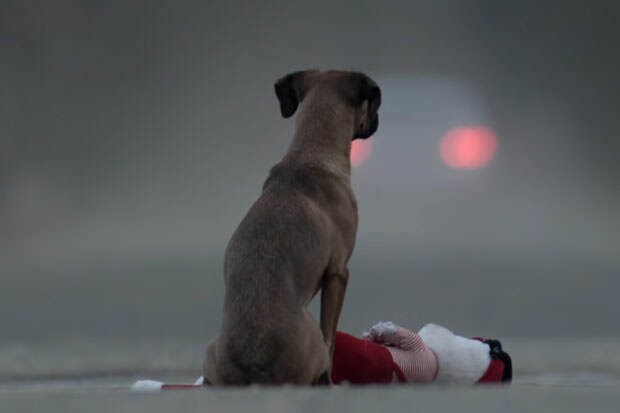 The film’s producer Attila Gorogh decided to make the move when he saw a lonely dog on the roadside: if a child was in the dog’s place, everyone would pay attention. Remember, your dog is a gift for life.